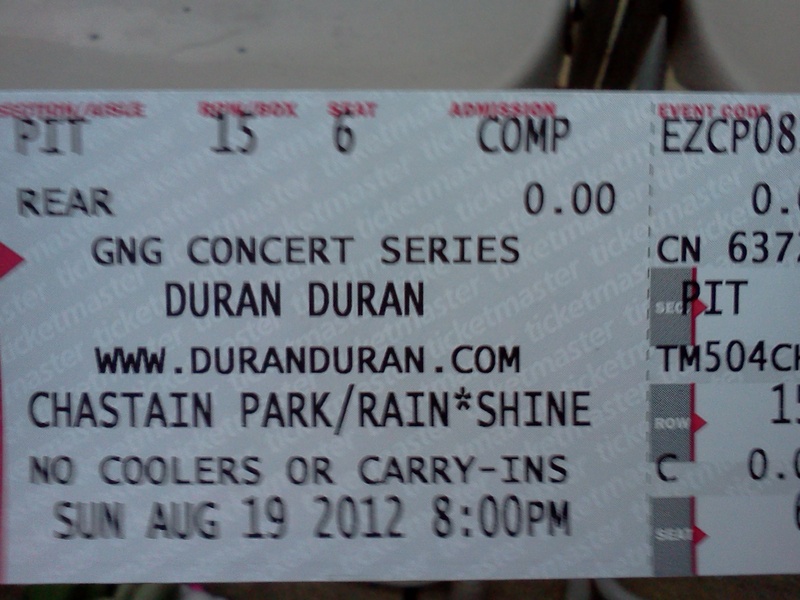 I've officially seen Duran Duran in three decades. amazing and so much fun you WANT to see them again and again. Their show at Chastain Park this past weekend was so much fun, it's kind of difficult to quantify without squealing like a teenage girl. But, I can try. I got to take my husband with me as my date. He'd never seen Duran Duran despite the plethora (YES A PLETHORA) of bands he's seen over the years. I assured him how amazing it was going to be, we nabbed a sitter and off we went - praying the rain would STOP. It did. 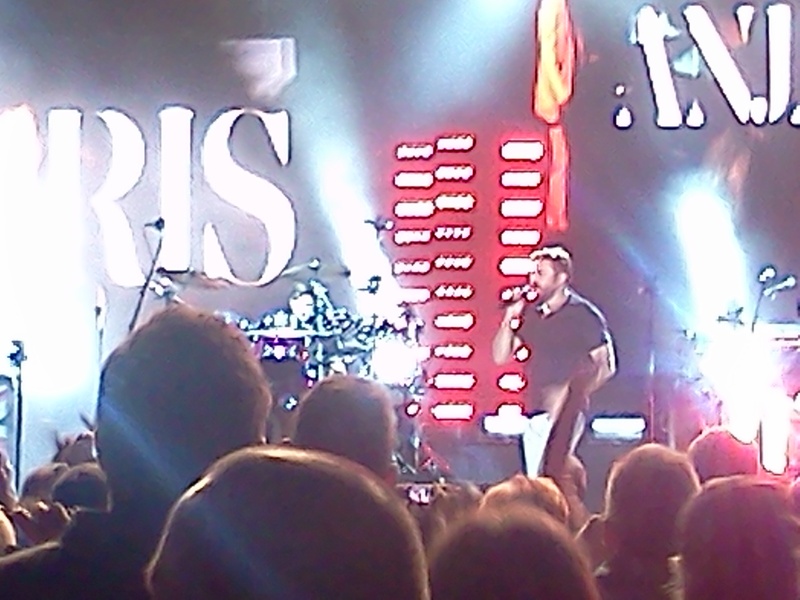 The opening act was so like Missing Persons it was weird, like young Dale was up there singing. The girl was called MNDR and she was a band unto herself, singing very 80s style solo stuff. I think in 1984 she would've had an awesome video or two. :) With ninjas, and tigers. Don't get me wrong, she wasn't bad at all. She was just - anachronistic. A pure throwback in 80s style and sound. It was kind of cool. The was a rather lovely prelude before the band came up, an artsy film set to what I think was Water Music but it's been too long since I had requisite hours in the listening library at college to be sure. I am of the opinion that their boat, their rules applies when seeing any band. The yahoos in the crowd were a bit cranky as it went on, but they were the exception. It laid a very calm and mellow mood across the audience as the band came on stage and opened with Before the Rain. 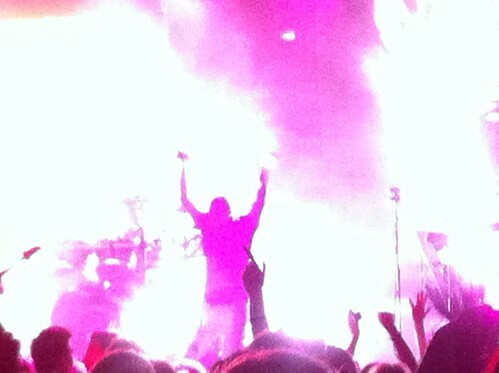 Here is why, in a nutshell, it's still brilliant to see Duran Duran. They are having a great time, and it's infectious. My husband, the veteran concert warhorse proclaimed to me after the show "This may be the best concert I've ever seen." And I agree. The band is full of JOY on stage, having fun, laughing, singing their old and new songs with equal glee. Another thing I thought was interesting, you know how bands always go "This is our new single"and the crowd kind of sits down and goes YAWN as a dirge about trains and human rights or something rolls out? That didn't happen. Duran Duran plays new stuff that keeps the crowd on it's feet and just as excited as The Reflex. The ladies next to me proclaimed at one point "I don't know what this is but I've gotta dance!" I danced and sang for two hours solid. I'm sorry to those around me. I sing loud. I am pretty sure the band wants me to. But the fun I was having, and probably most of the crowd too, might best be summed up by what my husband said to me at the end of the show. RIO was in full swing as the band closed and I was dancing and singing only to realize I was being watched. I stopped and looked at my husband and asked "WHAT?" He was grinning like a madman and said, "You're 16 again." 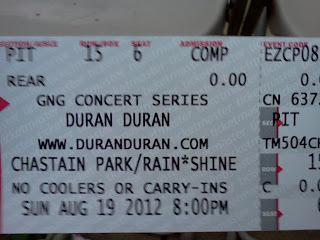 Duran Duran, "...you make me feel ALIVE ALIVE ALIVE." Thanks for being awesome for three decades. Here's to three more. If you want to be 16 again too, you can catch their tour as they continue to wind around the country playing venues that are perfect and cozy.